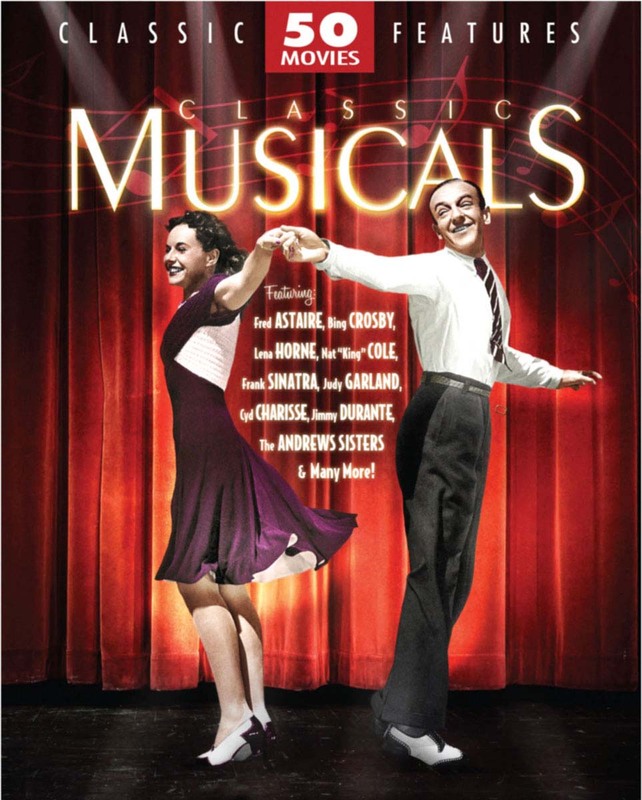 The Classic Musicals 50 Movie Pack brings an incomparable world of song, dance and orchestration to life in a collection that offers countless hours of entertainment. Rediscover the magic of Fred Astaire in Second Chorus and Royal Wedding. Marvel at the incredible dance moves of Cyd Charisse and Jane Powell in Black Tights and Delightfully Dangerous. Relive the magic of jazz legends like Duke Ellington, Lionel Hampton, The Dorsey Brothers, Count Basie and Sarah Vaughn. Sit back and enjoy the songs of all time greats like Lena Horne, Frank Sinatra, Eartha Kitt, Perry Como, Judy Garland and Dinah Shore.